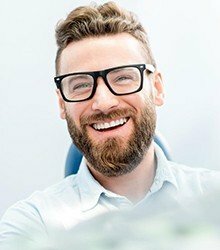 Dental implants in Brampton come at a higher cost compared to other options in tooth replacement, and the total price will depend on a few factors, including your bone health, how many teeth you are missing, and other considerations. Rarely are two dental implant procedures the same. You will need to schedule a consultation with your dentist to find out exactly what you should be prepared to pay for your procedure. 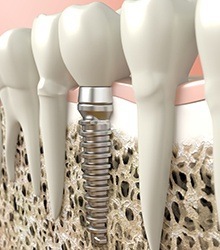 Once we have this in mind, we can begin discussing tactics for making dental implants low-cost more affordable overall! Dental insurance makes it easier to save on the treatments you need to enjoy a healthy smile for life -- so dental implants should certainly fall under the list of covered procedures, right? Unfortunately, most dental insurance plans still fail to provide coverage for dental implants, despite the fact that they are well-known as the best option in tooth replacement currently available. For this reason, we always advise patients to make decisions based on what is best for their oral health rather than what is covered by dental insurance. However, some plans will provide some discounts for preliminary procedures related to dental implants or even a portion of the implant posts themselves. To find out just what you are eligible for, we will perform a verification of benefits to help you maximize your dental insurance coverage whenever possible. Even if your dental insurance plan does not cover the cost of dental implants, there are other options available with third-party financing. This is a way to break up the final price of the procedure into smaller, more convenient payments that work well for your budget. Talk to our office about which financing options we partner with, and how to apply. It can be tempting to try to save on the cost of dental implants, but be aware that getting a “good deal” for your tooth replacement may leave you sacrificing quality instead. Now is not the time to cut corners or try to save a few dollars. When performed by an expert, high-quality dental implants are a valuable investment -- one that is worth its weight in gold. Don’t settle for less when it comes to completing your smile. Let’s Discuss Budgeting for Implants Today! If you are eligible for dental implants, it is time to discuss how we can help you make the procedure as affordable as possible. High-quality tooth replacement does not have to take a big bite out of your budget -- we invite you to discuss your options by getting in touch with Torbram Dental today.